Spring sports are in full swing. 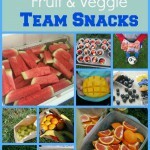 If your child’s team gathers after games for a snack, I’ve got 20 healthy ideas for you! Too many typical team snacks–like gummy fruit snacks, cookies, donuts, and chips–are full of sugar, sodium, and artificial stuff. But fruits (and veggies) are hydrating, sweet, simple, and full of good nutrition kids need. Unlike lots of packaged stuff, they’re usually safe for players with food allergies too. If you’d like to see healthier snacks on the sidelines of your child’s sports, I’ve compiled 20 ideas for you that are easy and healthy and put them in a free printable. Use it when it’s your turn to bring the team snack. You can also pass it along to other team parents, coaches, and league directors if you’d like to see healthier team snacks in your community. 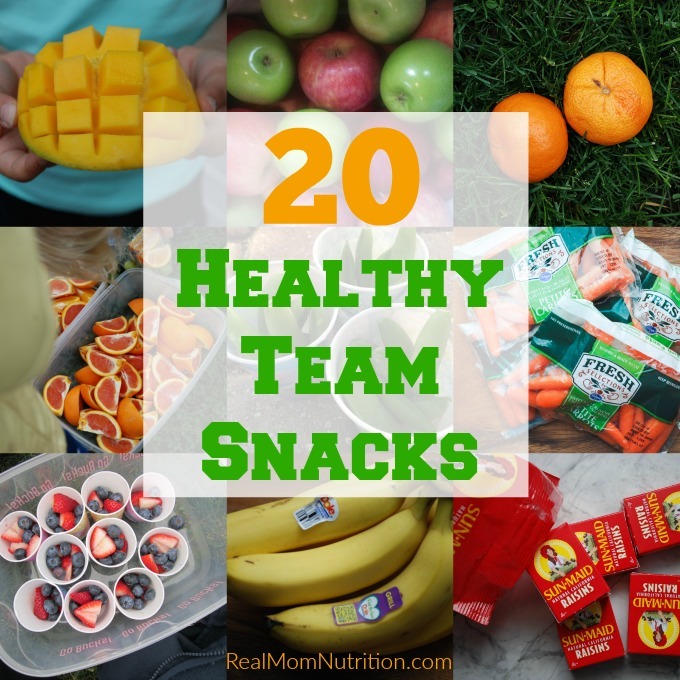 Click here to get the free printable, “20 Healthy Team Snacks”. When you sign up, you’ll also start getting my Weekly Reality Bite, which is a short email I send once a week that includes tips, recipes, encouragement (and of course never any guilt). Want to improve the food culture on your child’s team? Get sample team and coach emails, an FAQ, and more in my Sports Snacktivism Handbook. I made your peanut butter balls for Girl Scouts ( no allergies there) and the girls devoured them. 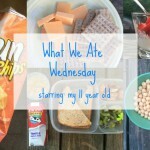 A lot tastier than gummies or pretzels. My daughter was also proud that we had made the snack Thanks Sally!! Alana–oh no! There must be a glitch. I will investigate. Did you receive the PDF? I submitted my email address and confirmed my subscription. However I am unable to get the -click here for the free printable 20 Healthy Team Snacks- link to work. We are a very sports oriented family and this would be very helpful for team snack assignments, for us and our other team parents too! Help please! Hi Kim–there seems to be an issue with this PDF. I will email one to you! So sorry about that. awesome! 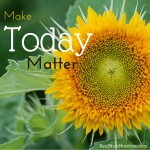 I’m a mommy-daddy (a father that does all the mommy stuff) and was so glad to find your blog. What a cool post. Hello, I was also unable to open the link for 20 healthy sports snacks. 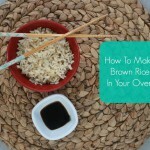 I am always interested in any ideas to make snack time healthier! Thanks! Hi Carey–Argh, thought I had fixed it. 🙁 I will email it to you! Thanks for your efforts to improve the health of our child athletes. We’re looking to revamp the snacks offered throughout our community. I haven’t received the 20 Healthy Team Snacks pdf. Can you please email me a copy?